Joan Connell, 97, formerly of Liberty, was born one mile west of Paradise, MO, in Clay County, the third of four children of Claud and Grace (Kimsey) Porter. She attended Rocky Point grade school and graduated from Smithville (MO) High School in 1939. Joan and her husband Todd Logan farmed many years four miles west of Kearney. Following his death in 1954, she and her children continued farming until 1961. 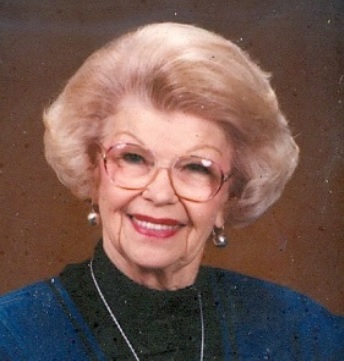 In 1962, she established Joan Justice Realty in Liberty and operated the business through 1967. For many years, Joan bought, subdivided and developed properties in Clay County. Joan was preceded in death by a brother, Howard E. Porter; a sister, Mildred Porter Fletcher; her husbands, Robert Todd Logan and Jack Connell; as well as her son, Roly Joe Logan. Survivors include her children, Janet Logan Langley (Rock), Suzann Logan Avolio (Don) and Kevin Justice; seven grandchildren, thirteen great grandchildren; and brother, Mack Porter. For many years Joan served as pianist at Smithville Baptist Church. She is a member of Metro Baptist Church, the Alexander Doniphan Chapter of the DAR and the General Federated Women's Club. Services will be Saturday, April 28, at Metro Baptist Church, 3400 NE 80th Street, Kansas City, MO, at 2:30 pm, with visitation beginning at 1:30 pm. Burial will follow in Glenridge Cemetery. Donations in her honor may be given to the City Union Mission or Salvation Army.